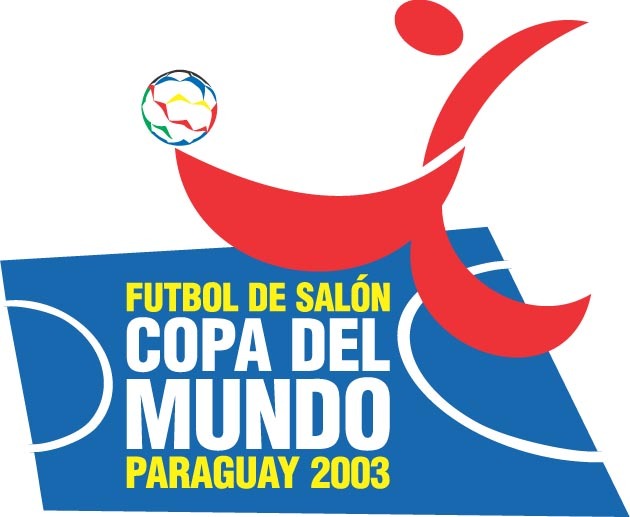 ASUNCIÓN (7-9-03) - A special committee of the Asociación Mundial de Futsal (AMF) has been formed to review the laws of the game. According to AMF spokesman Christian Prévost, the committee will be composed of Dennis Church of Australia, Dorian Guaristi of Bolivia, Prévost of Canada, Wilfrido Coffi of the Netherlands Antilles, Gustavio Rubio of Peru and Rolando Alarcon of Paraguay. AMF is the new name of the reorganized Federacao International de Futebol de Salao (FIFUSA), the original governing body for Futsal in the world. The original rules of FIFUSA differ from those currently used by FIFA. There was an offside rule in the penalty area, corner throw-ins rather than kicks and limited subsitutions. AMF did not not immediately indicate which rules it would give the most attention, although there was indication that they might closely resemble those of Spain's Liga Nacional Futbol Sala (LNFS). The AMF also announced preparations for its 8th Futsal World Cup, dating back to earlier FIFUSA competitions, scheduled for Nov. 21-30 in Paraguay, and unveiled its official logo for the Cup. A total of 16 countries will participate, including defending-champion Colombia, which won the 2000 Cup in Bolivia, and host Paraguay. Some countries will still have to qualify, while a special invitation will be extended to countries in Asia and Africa, the AMF said. Further information is available from amfutsal@telesurf.com.py. The AMF held its first congress in Asunción from Nov. 30 through Dec. 1, 2002, chaired by Rolando Alarcón, and issued a statement detailing its background and founding principles. Prime movers in the reorganization were representatives of South America's PANAFUTSAL. AMF noted in its statement that indoor soccer originated in Uruguay in 1930 and it has its own identity and philosophy. Futsal has continuously been evolving throughout the years and has reached an important position at an international level. During the last few years, however, various situations have given way to Futsal's stagnation as an international sport. Current activity is isolated, but certain federations or associations still trust in its greatness. The situation was considered to be critical, and PANAFUTSAL member countries agreed that it was the right time to make a serious commitment to "place indoor soccer in its well-deserved position" as a world-class sport. The PANAFUTSAL countries agreed to lead establishment of AMF because no other global entity was adequately leading the development of Futsal. The new world association would be represented by all countries worldwide where indoor soccer is played. The association would be focused on having clear and common objectives within a democratic framework in order to encourage the development, training, popularization, active participation and permanent competition of indoor soccer worldwide. "This may appear as an overly ambitious project," the AMF said in its statement, "but it is a valid proposal because the common ideals and efforts of all the interested parties shall make it possible to change the current adverse situation. The basis of the world association will be established with a broad-mindedness and with positive attitudes aimed at the development and modernization of indoor soccer." AMF said in the statement that it would avoid the monopolistic system, isolated efforts and obsolete and old-fashioned criteria that created obstacles in the past. It said it would have the participation of all the federations, associations and confederations in the revival of indoor soccer. According to the AMF statement, its organizers made a great effort to analyze and study the factors that have impeded Futsal's success at the world level "as a result of a lamentable inaction of FIFUSA." PANAFUTSAL, with the revival of Futsal in mind, forged an agreement with FIFA in Guatemala in 2000, but it did not bear fruit due to an alleged "lack of will-power." The statement went on to say that indoor soccer continues to be vigorous in various countries worldwide. However, there has been a need to revive the world leadership.